They sit abandoned, but not quite forgotten. From thriving settlements built around the rush to find gold and silver to once bustling towns that served hungry and tired motorists heading west, our fascination with these places that once held promise and speak of another time, another day in the California desert has never waned. Channel the archaeologist and historian in you and travel through the California desert, filled with stories of days not that long ago when instant riches were possible and when car travel on the open highway unveiled new types of treasures. You may just discover that the stories surrounding these abandoned spots are as captivating as the remnants that have been left behind. The rush to find gold and silver in the southern California desert inspired tens of thousands to head west to find their fortunes. Remnants of the towns that sprang up quickly to satisfy the needs of the miners and their families can still be found, some with more to reveal than others of the days that promised untold riches to those adventurous and brave enough to follow their dreams. 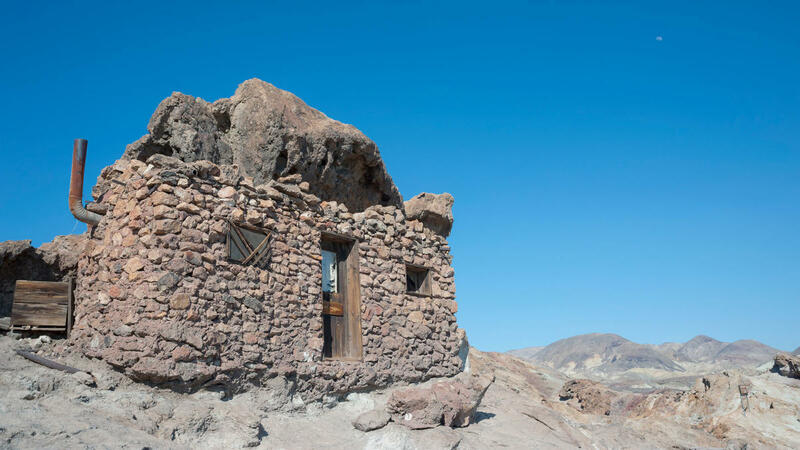 Early human beings may have wandered the hills that make up Calico Ghost Town off Calico Road in Yermo, given its proximity to the Early Man Site nearby. But we do know for a fact that Wyatt Earp once walked the streets of the 1880’s silver-mining boomtown. 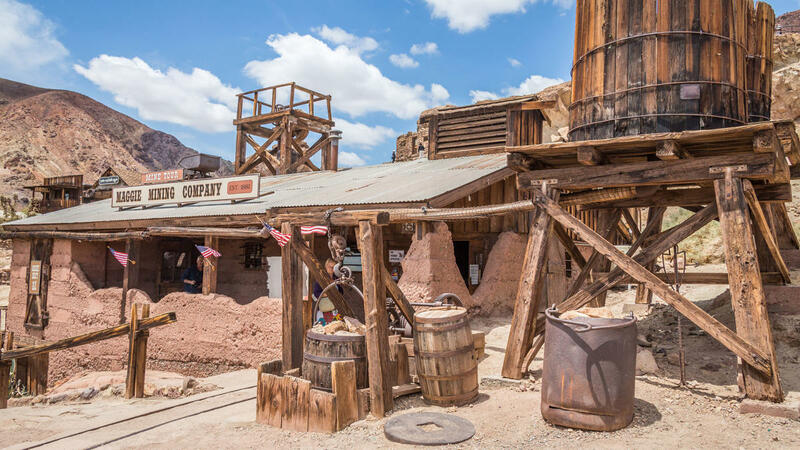 As you wander through town, you are bound to wonder why Calico became a ghost town. It wasn’t due to fire like many others, although part of the town had experienced fires and been rebuilt. And, it wasn’t due to an illness that spread through so many other towns during the era. The reason Calico closed down was simply economics. The price of silver declined to the point that mining was no longer practical. Calico was resurrected in 1950 by Walter Knott of Knott’s Berry Farm fame. The ghost town could have become a Knott’s Berry Farm in the desert, but he later donated the town to San Bernardino County as a regional park. The “quasi-tourist attraction” does see a fair share of tourists on the weekend, unlike other ghost towns that populate the Mojave, but the town is far from a commercial attraction. One-third of the original structures of the hillside town exist; others have been recreated. The main street of Calico, lined in wooden sidewalks, is populated by shops, a few informal eateries and people decked out in period costumes. It is not unusual to catch a gunfight here at any time. On top of one hill overlooking Main Street is the one-room schoolhouse; hills on the other side are the site of former miners’ shacks and numerous abandoned shafts. Take a “Ghost Tour” to absorb all of the local history; Maggie’s Mine is an interesting walk through one of Calico’s rich silver mines. A narrow-gauge railroad carries passengers out to the heavily mined mountains. Cerro Gordo is perched at 8,500 feet in the mountains above Owens Lake. Silver was discovered in the town in 1868, and it soon became one of the wildest towns in the West with an abundance of saloons and dance halls and a population topping 4,000. Although the town has been closed to collectors for more than two decades, it is rich in rocks and minerals, a result of serving as the dumping site for thousands of tons of material from nearby mines. Privately owned for many years, much of Cerro Gordo has been restored to its glory days. 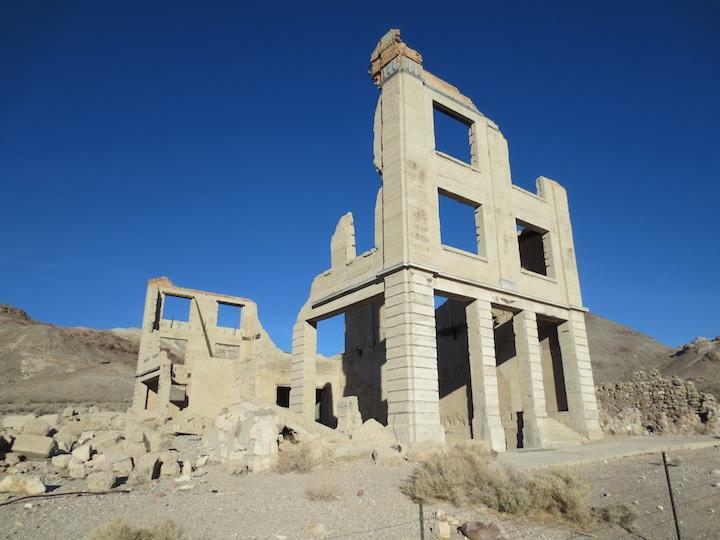 Spanning 314 acres across Owens Valley, the mining town is currently home to 22 structures that range from a historic hotel and saloon to a bunkhouse and chapel. And, if you’ve ever thought of buying an entire town, it is currently for sale for less than the average home in San Francisco. Schedule a walking tour to learn about the history of the town. Keeler became home to about 300 miners in the early 1870s, but with the coming of the railroad in 1883—with its terminus near Keeler—large marble quarries opened in the area. The town also became a popular layover stop for stagecoach riders on the way to Mojave. Today, it is populated once again, serving as a sort of “living” ghost town with a population of less than 70 people. Unfortunately, not much remains of the area’s other ghost towns, Darwin and Swansea, except interesting histories and sparse remnants of original structures. In 1905 gold was discovered in Death Valley. A man named Bob Montgomery purchased the discovery from miners and began the town of Skidoo. Skidoo was a full company town, with Montgomery at the helm. The town acquired its name after a popular saying at the time, “twenty-three skidoo,” a reference to the mileage (23) that water needed to be piped in from a spring in the Panamint Mountains. At its peak, the town’s population was about 700 and profits filtered in until about 1917. It stands as one of the rare Death Valley mining operations that made a profit, more than $3 million. A few people stayed to get the last of the ore, but by 1950 Skidoo was officially a ghost town. To reach the ghost town, take Skidoo Road down a curvy dirt path that feels very much like a ride on an old-fashioned washboard. Those with imagination can feel somewhat as the pioneers in covered wagons must have felt on this route, which curves through the mountains and grants impressive views of the canyon and beyond. The bumpy ride appears to end at a sign that gives the history of the mining town. Although the signs do not indicate the remains, you’ll see a stamping mill and mine. Note: For safety’s sake do not attempt to enter any of the abandoned mine sites. Randsburg, with one main street, is a perfect example of a living ghost town. In 1895 three prospectors discovered gold at the base of Rand Mountain here, and the mine, named the Yellow Aster, turned the town into a boom area with more than 4,000 inhabitants. Butte Avenue in town is lined with stores of the gold-rush days still in use, even a prospecting supply store and the original post office established in 1856; the tiny Randsburg Desert Museum is nestled in the heart of town, offering interesting mining artifacts and history. Miners’ shacks, many surprisingly inhabited, can be found in the hills around town. The surrounding hilly terrain resembles Swiss cheese, reflecting the intense mining activity that occurred in Randsburg; many of the mines have signs warning of dangerous shafts. To reach the former mining town of Nipton, head straight for the hills where the tiny railroad whistle-stop of a town is situated right over the tracks. In 1984 two Santa Monica, California, transplants bought the 1885-founded town lock, stock and barrel, or, rather, hotel, saloon, store and assorted small buildings—all in need of restoration. The town possesses a colorful history of visiting outlaws who hid out in the nearby mountain backcountry, and it was a wagon road before the railroads arrived. The Freemans who bought the town had high hopes of a commercial success, even resurrecting some of the mining efforts and establishing a small inn, restaurant and a solar plant. Jerry Freeman’s worsening health forced the couple to move. After his passing, wife Rosemary sold the town which now may find a new future “mining” another product--marijuana. In 1904, two prospectors found an abundance of quartz filled with gold in this remote nearly uninhabited area. Soon, a townsite was established nearby and given the name Rhyolite after the silica-rich volcanic rock found there. More than 2,000 claims in the region followed, and Rhyolite became a bustling town with three-story buildings, hotels, a school, foundries and even a hospital. In 1906, a miner built a Bottle House out of 50,000 beer and liquor bottles; 1907 saw the construction of a mill that handled the vast ore coming from the nearby Shoshone Mine. It was the financial panic of 1907 that signaled the beginning of the end of the bustling town. Mines and banks closed with production following. In 1916, the light and power were officially turned off. Today, you can see remnants of the town’s glory days, including some of the walls of the three-story bank building and the jail. The Bottle House was restored by Paramount Pictures in 1925 for a movie and stands today as one of the most interesting structures of its kind. Rhyolite is located 35 miles from the Furnace Creek Visitors Center, but not actually within the boundaries of Death Valley National Park. In the 1920s Americans fell in love their cars, discovering the romance of the road and new adventures around every turn. This new reason to head west was largely due to the newly created Route 66 with more than 300 miles of exploration in California and a big chunk of that in the California desert. Entire towns sprang up to fulfill the needs of these road trekkers seeking adventures along the Mother Road. But when a new interstate became the fastest way to make the trip, the towns that once flourished were eventually abandoned. Today, you can choose to leave the interstate to explore these mostly abandoned towns. It’s well worth the detour. Goffs was a stop along famous U.S. Route 66 prior to 1931, when a more direct route between Needles and Amboy was built. Goffs was also home to workers of the nearby Santa Fe Railroad and known as Blake between 1893 and 1902. It was named for Isaac Blake, the builder of the Nevada Southern Railway that began here. Today, you can visit the historic schoolhouse, built in 1914, that has been renovated to its original plans by the Mojave Desert Heritage and Cultural Association (MDHCA). The schoolhouse and grounds now house a fascinating museum primarily specializing in the area&apos;s mining history. Remnants of Goffs&apos; mining days still dot the area. The historic town of Daggett was a way station on the San Bernardino–Daggett–Post Office Springs Freight Line. A brochure furnished by the Daggett Chamber of Commerce outlines a self-guided tour of the small town, designated by covered wagon markers that identify buildings of interest. Viewing is from the street only, and residents are not to be disturbed. The Stone Hotel and adjacent People’s General Store will be restored in the future for use as a historical museum. Fouts Garage on Santa Fe Street has a particularly interesting history, with past uses that include a roundhouse for narrow-gauge railroad equipment, a livery stable, a garage for “gas buggies,” a grocery store (with a dirt floor!) and a garage from 1946 to the present. The 1894-built blacksmith’s shop on First Street constructed the wagons that hauled silver and borax from desert mines; such a wagon sits in the yard. To pick up a brochure, stop by the Community Services office on weekdays or the Daggett Museum on weekend afternoons. Originally a town that supported the nearby mines and railroading, Amboy still boasts the 1938-established Roy’s Café and Hotel and gas station with famous sign that greeted those traveling Route 66. For decades it was owned and operated by Buster Burris, and during its heyday road-weary travelers could depend on a solid meal and a good night’s sleep before heading down the road. Now owned by Albert Okura of Juan Pollo restaurant fame, plans are underway to restore the businesses. Although once a thriving railroad town with its own Harvey House, not much remains of Bagdad today other than a small cemetery and broken remains. The A&P Railroad built a stop for coal and water for steam engines and named it Bagdad after a town in Iraq. The 1900s saw Bagdad grow into a village with a Harvey House hotel at the station and a post office. Unfortunately, the station no longer exists. After World War II, diesel engines replaced the old steam locomotives, water stops were no longer necessary. Business was focused on US 66 and did so for the next 25 years until the I-40 diverted travelers off the Mother Road. Unlike Bagdad, Ludlow is not quite a ghost town due to its proximity to Route 40. The once welcoming stop for passing motorists with a motor court, café and gas station no longer exists, however a newer Ludlow just north of the off-ramp of Interstate 40 reemerged in the 1970s to serve the traveler once again with gas stations, a small motel and a newer Ludlow Café and a Dairy Queen. Travel the other side of the railroad tracks to see an interesting cemetery with graves marked by wooden crosses. In Newberry Springs, at the foot of the mountains on the south side of Route 66, you will find another landmark of the roadway—the Bagdad Café. Mention the name to French tourists who come by the busload, and they will tell you about its cinematic cult allure. Formally known as the Sidewinder Café, the tiny café gained international fame when the movie “The Bagdad Café” was filmed there. Of course, the original Bagdad Café was in the now ghost town of Bagdad. Take a slight detour here and see another remnant of the past—this one from the 1950s. The abandoned slides and pools of the Lake Dolores Water Park, later resurrected as the Rock-A-Hoola, sit baking in the desert sun, another casualty of time moving on.